Clean teeth are always in fashion! It is a good habit for everyone to see a dentist every 6 months. cavities can be filled easily and do not usually give problems after that. young, so see us every 6 months for a scaling and polishing. 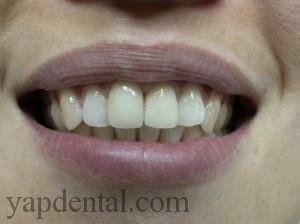 We remove all the tartar under the gum line and all the stains on the enamel. Our practice also owns 2 airflow polishers, especially effective for smokers and tea drinkers. Your teeth will look brand new after treatment!